We are happy to help you with anything we can. Feel free to contact us with any questions you may have. For quotes, bookings, general enquiries, please fill out the form below. We’ll respond as soon as possible. We generally work within an 80-kilometre radius of our main office (Dublin). Please call us with your location to see if we can help you.  For your peace of mind, we are registered with both Safe Electric and ECSSA which carry out regular inspections on our work to ensure they are of the highest standard. We are also fully insured for electrical works with Arachas Ireland. Our staff are trained by one of Ireland’s leading electrical lecturers Feilim Mac Criosta.